Supplementary material reads: "Caption. Photographer: Mitchell. Date: 1954-04-08. Reporter: Simmons. Assignment: Name change. 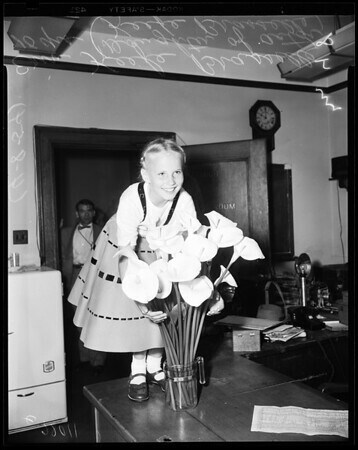 47/48: Erin Keefe Brasselle, 10, daughter of actor Keefe Brasselle".